Leoniki Residence is located in Platanes which is a Rethymnon prefecture, the smallest and most sparsely inhabited one compared to the other three on the island. This prefecture is the centre of folk art, especially weaving and embroidering at Anoyia, as well as ceramics which has been mainly developed around the small picturesque village of Margarita. 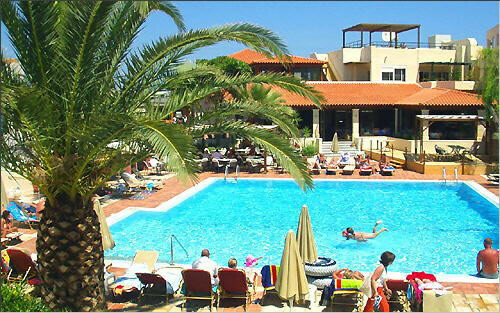 The resort offers guests a great opportunity for relaxation with a swimming pool, bars, restaurant and sea sports. Among the sites worth visiting in Rethymnon is a Venetian castle called Fortezza, a masterpiece of Palatian architecture.